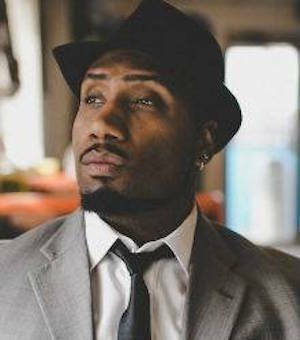 YouTube activist, speaker, and slam poet Theo E. J. Wilson will present “Race and the Internet: The Digital Shadow” as part of the Margaret J. Weber Distinguished Lecture Series at Pepperdine Graduate School of Education and Psychology. The lecture will take place at the West Los Angeles Graduate Campus on Thursday, October 18, at 7 PM. Through “Race and the Internet: The Digital Shadow,” Wilson will examine civil conversations in the midst of disagreements, a discussion that was initially sparked when he was spurred by the racist comments individuals posted on his YouTube videos to assume an “alt-right” persona and pretend to be a member of the white nationalist movement. Wilson is the executive director of Shop Talk Live, Inc. The organization uses the barbershop as a staging ground for community dialogue and healing. In 2013 Wilson began speaking with “Rachel’s Challenge,” an organization dedicated to ending school violence through compassion. After viral video success beginning in 2015, he published his first book in 2017, The Law of Action. The book addresses some of the misconceptions about the law of attraction and the role direct action plays into manifestation. With a passion for social justice, Wilson began his speaking career in the NAACP at the age of 15. He attended Florida A&M University, where he obtained his bachelor’s degree in theater performance. Upon graduating, he interned as a full-time actor at the St. Louis Black repertory company. Wilson is a founding member of the Denver Slam Nuba team, who won the National Poetry Slam in 2011. The 2018-19 lecture series theme, “Living and Learning with Civility” is centered on the Martin Luther King Jr.’s quote, “Darkness cannot drive out darkness; only light can do that. Hate cannot drive out hate; only love can do that.” Each event will host a speaker or panel who will explore thought-provoking ideas, anchored in civility to produce positive change.